The new 2018 Ram 1500 is one of the most versatile rides on the road today. Whether you’re hauling, towing, or headed to the great outdoors, the Ram 1500 is the perfect companion. With nine different trims available and a slew of options, the 1500 can handle whatever life throws at you. Let’s review the available features on this pickup. All the new 2018 1500s can be configured in crew cabs, quad cabs, and regular cabs. Choose the crew cab to maximize the interior space or the quad for a mix of interior and hauling capacity. Go with the regular cab for the largest cargo space available. Take any Ram 1500 off the beaten path by adding four wheel drive. The Tradesman package offers exceptional value on an incredibly durable Ram vehicle. Utilize its 3.6L Pentastar V6 Engine for any job. 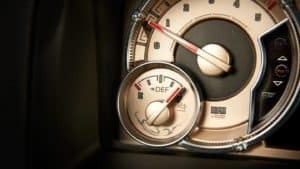 You’ll drive with confidence knowing that the engine has 305 Horsepower and 269 Pound-Feet of Torque. Upgrade to the Express package to change the Ram’s look. Its distinctive monochromatic exterior is both rugged and refined. This trim’s 17 inch aluminum wheels will also keep drivers on top of the action. 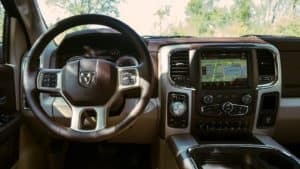 The available Big Horn upgrade adds convenience to your ride. Enjoy the ParkSense front and rear park assist system, folding seating arrangements, and massive 20-inch chrome-clad wheels. Choose the Rebel trim to head on an off-road excursion. It’s designed with four-corner air suspension for a smooth driving experience. Conquer the road with 10.3 inches of ground clearance on the front axle. The Sport trim boasts a biggest in-class available 8.4 inch center console, heated front seats, and the RamBox cargo system that gives you lockable and drainable rear storage. Upgrade the Night edition 1500 with available Mopar performance equipment and sport hood. This aggressively designed vehicle has sleek black accents and a signature honeycomb grille. The Laramie Trim is a luxurious option. Savor the nine speaker integrated audio system, heated and ventilated front seats, and dominant 20 inch chrome plated wheels. The 2018 Laramie Longhorn 1500 is a truly exceptional vehicle. Its laser-etched premium leather clad cabin exudes refinement and prioritizes comfort. 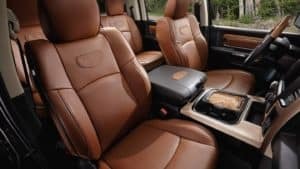 The Laramie Longhorn’s seats are not only heated and ventilated, but are also crafted from memory foam. Enjoy Longhorn specific details throughout the vehicle. Finally, the Limited edition of the 2018 Ram 1500 has a gargantuan 5.7L HEMI V8. The power of the Limited’s engine is matched only by its interior luxury. The monochromatic color scheme, stitched black leather, and wood accents are the ultimate amenities. Boerne Dodge Chrysler Jeep Ram is the premier local automotive dealership for the San Antonio, Irving, San Marcos, Segun, and Bandera. 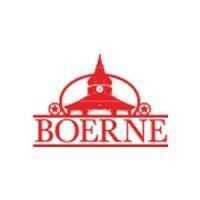 Boerne Dodge Chrysler Jeep Ram has tireless commitment to the customer. Contact a Boerne Dodge Chrysler Jeep Ram representative today to access our huge dealer inventory of Ram trucks. Take a 1500 out for a spin today at our convenient location. The 2018 Ram 1500 is on sale now.